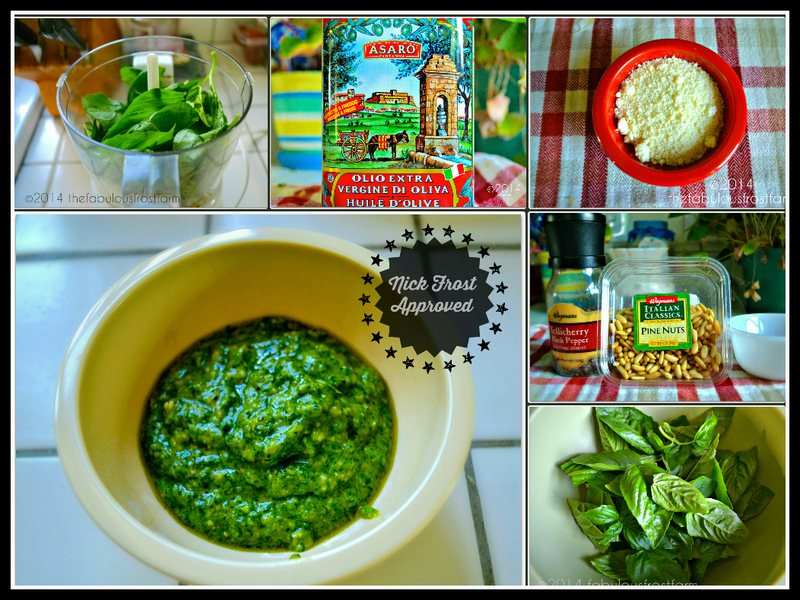 One of my favorite things to whip up is Pesto. My dad used to make it sometimes when I was in college and when I finally got my own apartment and my own basil plant – I couldn’t wait to make some of my own. Nick – was skeptical. He had never liked pesto as a child and the color completely turned him off. I promised him he would like it if he gave it a whirl. It turns out it is one of his favorite things I cook up. It’s a quick, easy and delicious dinner fix when time or motivation isn’t in your favor. As I mentioned a while ago – in my Baking …. Basil and Cultivating …. Cabbage entry the Third Graders at our School were participating in the Burpee Cabbage Contest and I was lucky enough to score some cabbage seedlings. 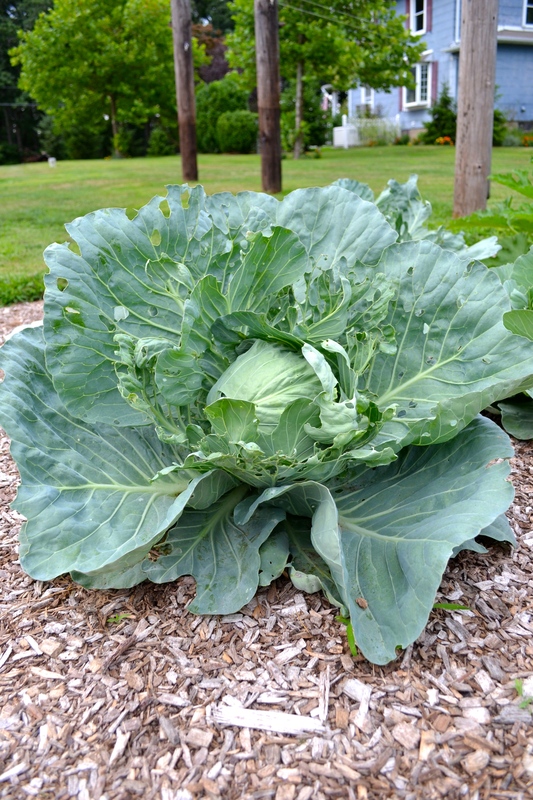 Honestly, I’ve never grown cabbage before, I know they’re cooler weather crops and the way that my peppers and squash have been fairing the past few years – I was kind of nervous trying a new veggie. But they were free – and I figured WHY NOT? The least it could get me would be a “I learned my lesson blog post”. The best thing it could get me was some delicious coleslaw. Luckily for me and Nick’s belly we got the latter.